So I just had to have the Sending Thoughts stamp set from last year's Occasions Mini. So many beautiful sentiments. I am sad to say that I have only made one card before this with the stamp sets. So many great sentiments to cheer someone up. How great I know you're sick & tired of being sick & tired but I'll never be tired of being here for you. The little heart comes from the Show & Tell stamp set. The stripes of designer series paper come from the Stacked with Love. 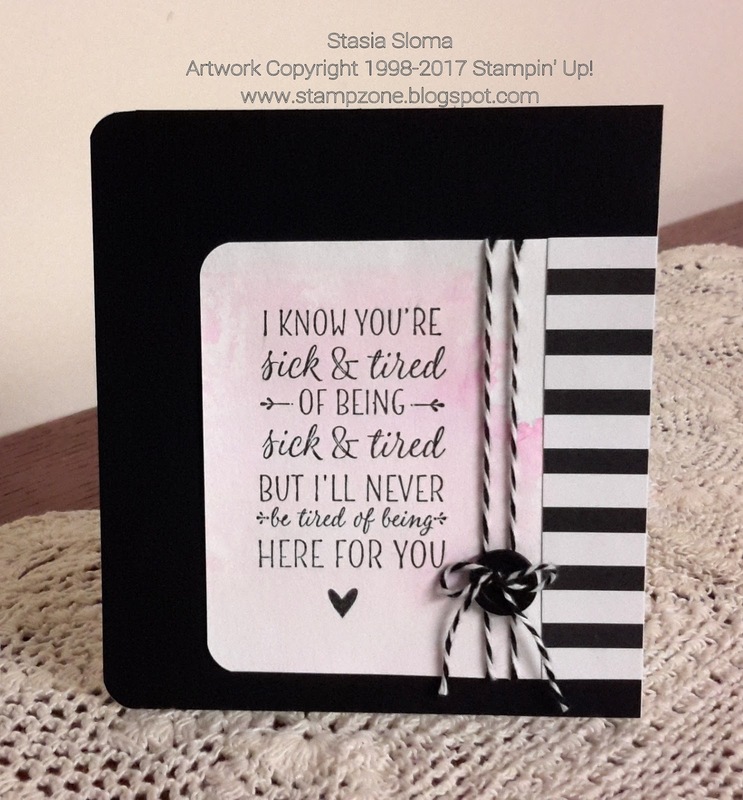 The watercolor background was made with Pretty in Pink ink refil and Aqua Painter. Baker's twine and a button finish the card.